Cristo can move mountains, Spanish-speaking church believes (reporting from Elgin, Ill.): In a Chicago suburb, a Latino congregation experiences growth and contemplates a multicultural future. 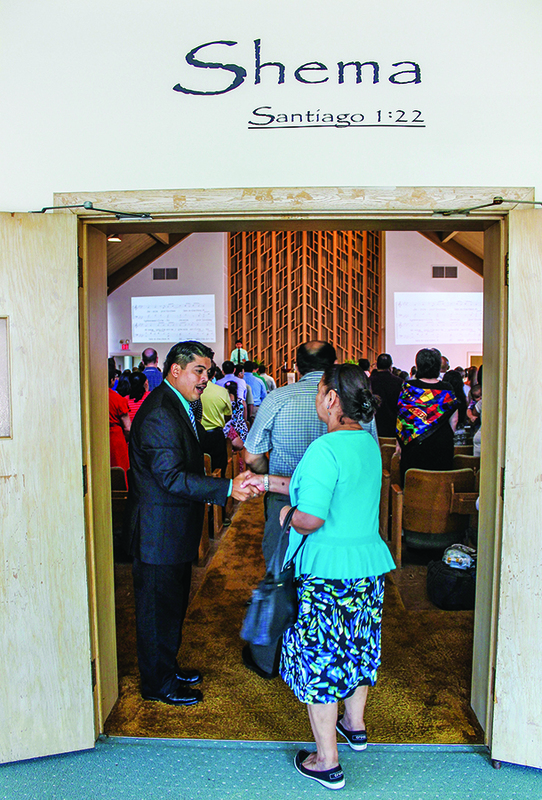 ELGIN, Ill. — Tears of joy flowed as the Elgin Church of Christ, a Spanish-speaking congregation northwest of Chicago, stood and sang the invitation song. The voices that rang out testified to this fast-growing congregation’s emotional, 25-year journey — from an Anglo church’s basement to a cramped rented facility to this first assembly in an 11,000-square-foot building all its own. Gonzalez touched his hands to his heart as he tried — in broken English — to put his glee into words. This story appears in the October 2014 print edition of The Christian Chronicle.